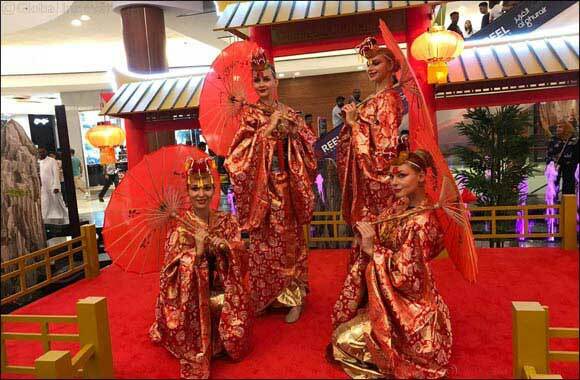 Dubai, United Arab Emirates – February 03, 2019: Usher in good fortune, health and happiness with the Chinese Lunar Year Festival from 31 January to 9 February 2019 at Al Ghurair Centre, the GCC’s first shopping centre. The most important celebration in the Chinese calendar will be marked with a host of cultural shows, parades, live music, and great food. The Central Atrium, ground floor, will be the hub of festivities with a host of exciting activities lined up including traditional costume trial, caricature corner and chopstick games along with on-the-spot giveaways. Apart from the activities, visitors will also experience an enchanting ambience and a true glimpse of the Chinese culture by watching the traditional Chinese performances including the umbrella, fan and dragon dances. While the traditional auspicious colors of red and gold along with old-fashioned Chinese architecture dominate the d�cor of the mall, visitors will also witness a spectacle of roaming acts. In conjunction with the Chinese Lunar Year Festival, shoppers and guests can also enjoy sumptuous meals at any one of the 50 restaurants for a complete family getaway.